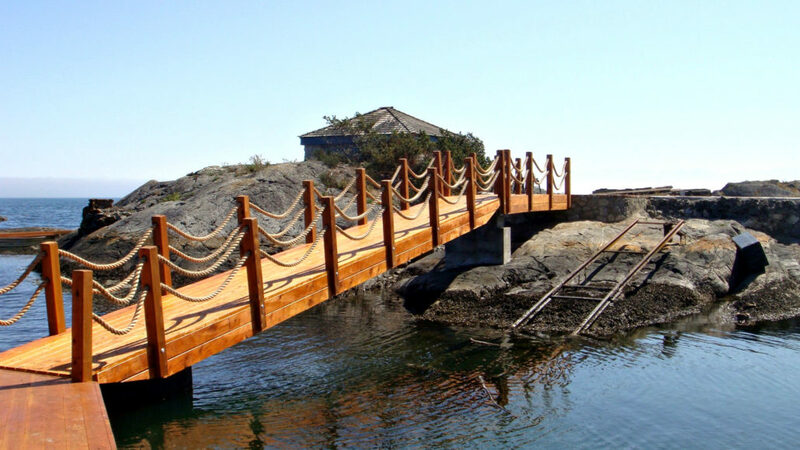 For the home owner who does not want or need visible handrails, we developed a low profile ramp system that has the look of a wood ramp with no visible aluminium and offers the strength and lifespan of an aluminium walkway. 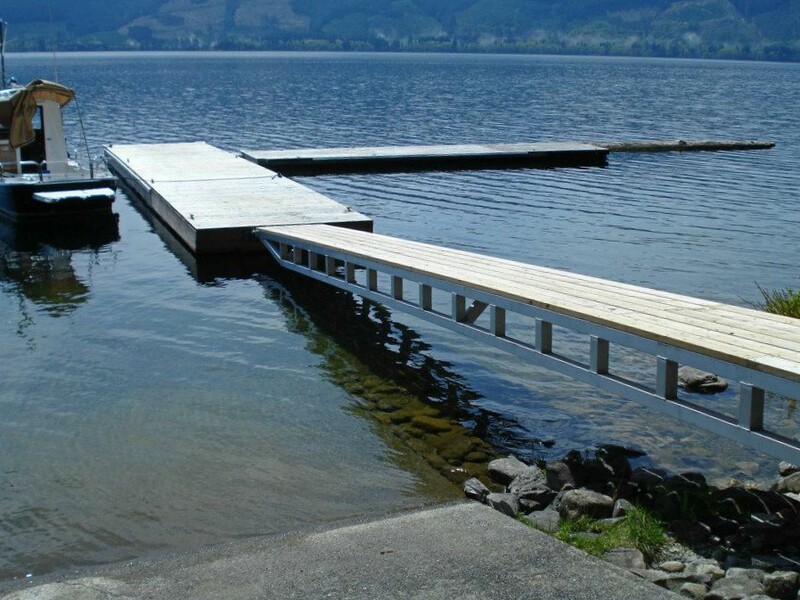 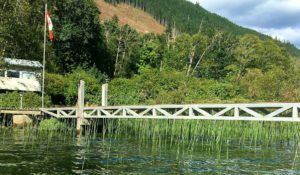 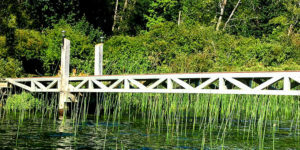 The tapered hinged ends allow for versatile movement on lakes with large water level changes throughout the year and the low profile box truss offers a simpler look to your waterfront system. 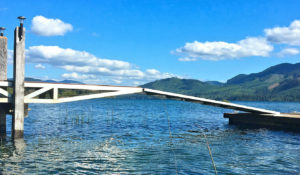 The structure of the ramp sits below the walking surface and does not have the large trussed handrail of most conventional ramps. 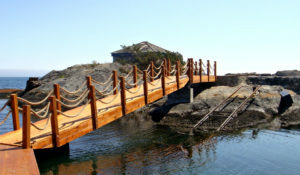 This reduces the industrial look of the waterfront and follows bylaw restrictions. 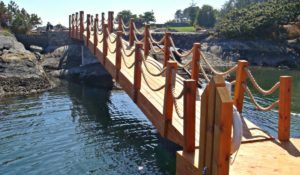 Reduced weight and smaller overall height, which help with the installation. 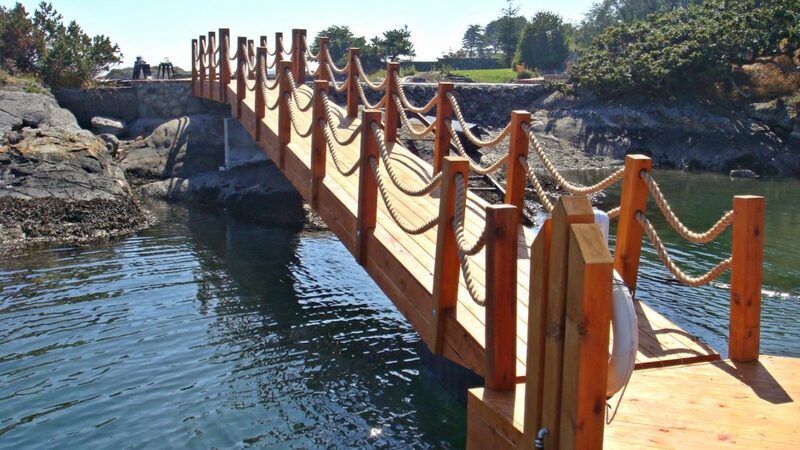 Get a more rustic approach by attaching wood posts with rope or steel cable rails after the installation. 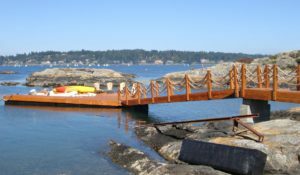 Custom design your ramp to match your house or cabin without affecting the structural integrity of the ramp. 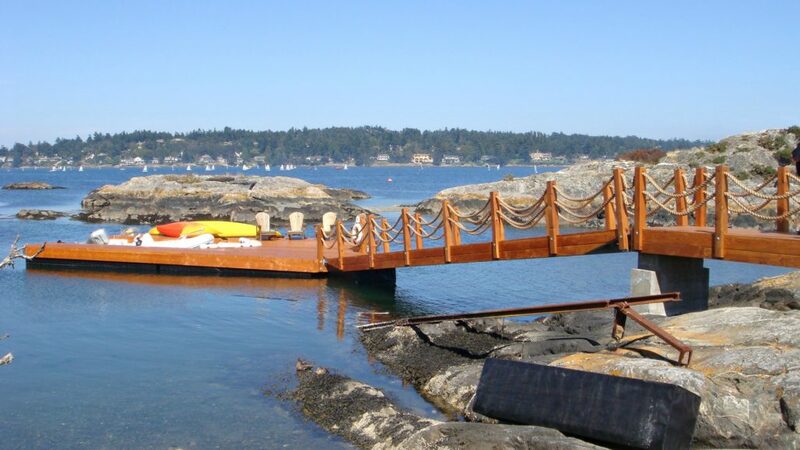 Choose between many different types of decking. 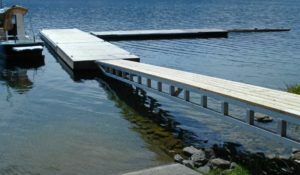 Use them as floating dock sections. 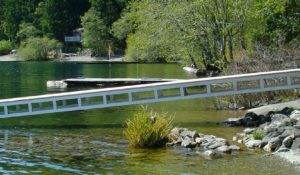 Let’s get your ramp project started.